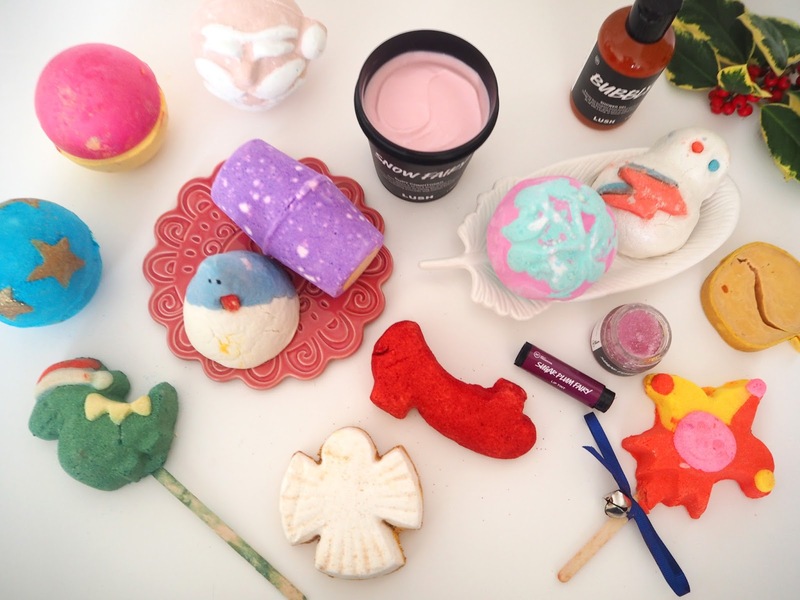 Christmas is the time of year that I get most excited about Lush products! 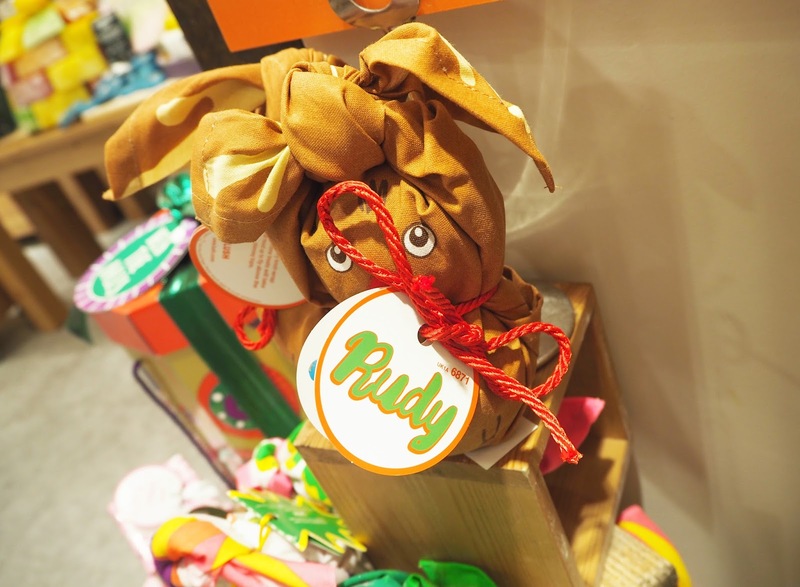 They really excel at the fragrances, types of products and of course their fantastic gift sets when it comes to the Christmas Collection. 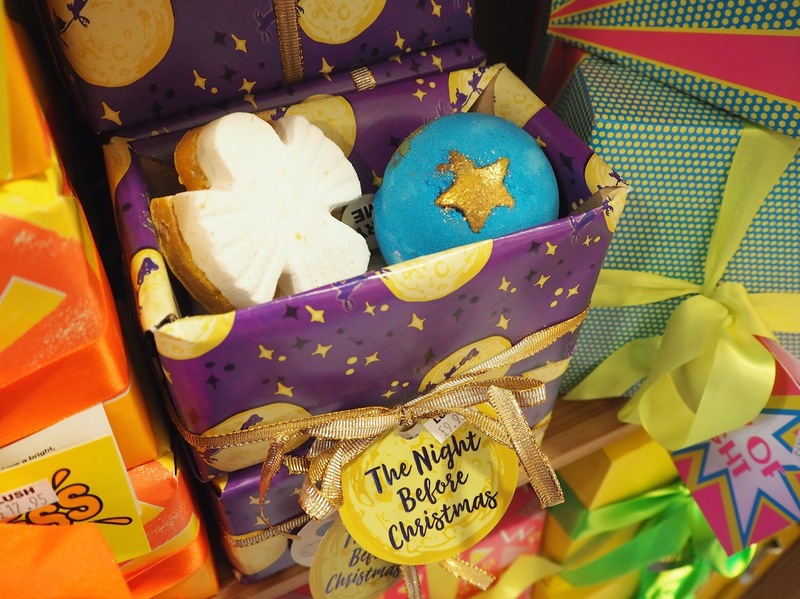 You may have seen that back in October I posted about my evening at the Blogger Event at Lush in Crawley where we got he chance to preview all of the new launches for both Halloween & Christmas! I will add my Vlog of the Event to the bottom of this post for you to watch. It was such a fabulous opportunity for a self confessed Lush Geek like myself! So between the Crawley shop and my local Chichester store I have ended up picking up as many of the new launches as I could afford! 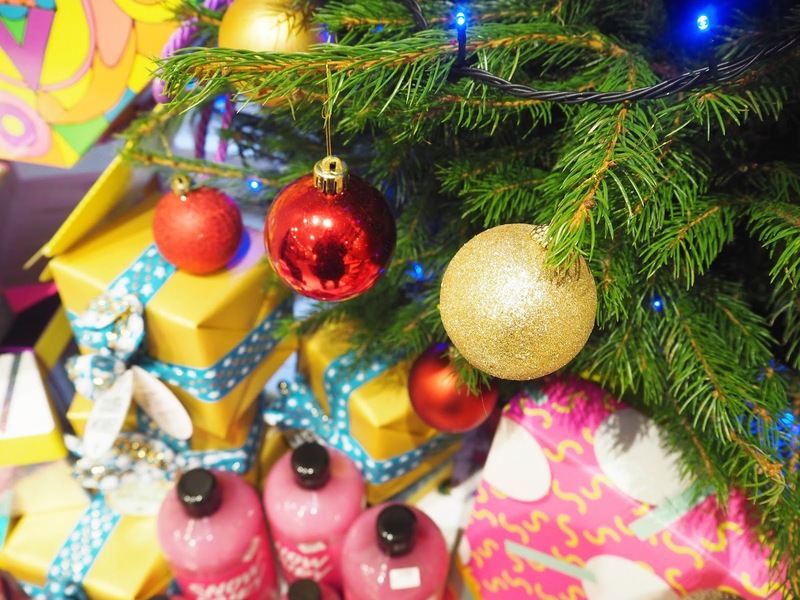 Today I'm going to be sharing with you some of my favourite new and old Christmas products. 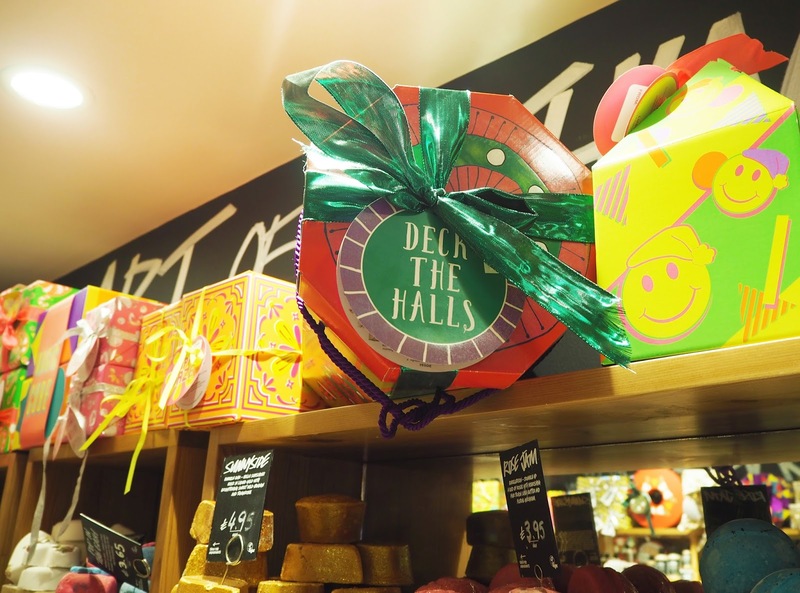 Don't forget, today Lush do their once a year only sale on Boxing Day where you can pick up gift sets and Christmas products at up to half price! If, like me, you don't fancy featuring out shopping on Boxing Day then you can try online - although the website kept crashing last year which was a nightmare, I really do hope they've fixed that this year! Usually they have a few sale bits knocking around online the day or two after Boxing Day but I recommend getting in as early as possible and going for the gift sets! Particularly those that include the products I've mentioned below. 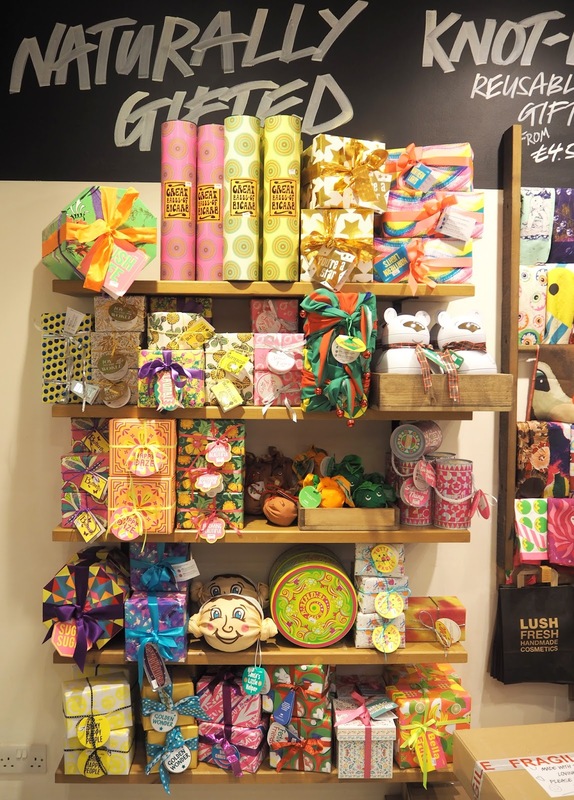 Also make sure you check out the Lush Kitchen on a regular basis for exclusive but limited time releases every week day, it's well worth it! 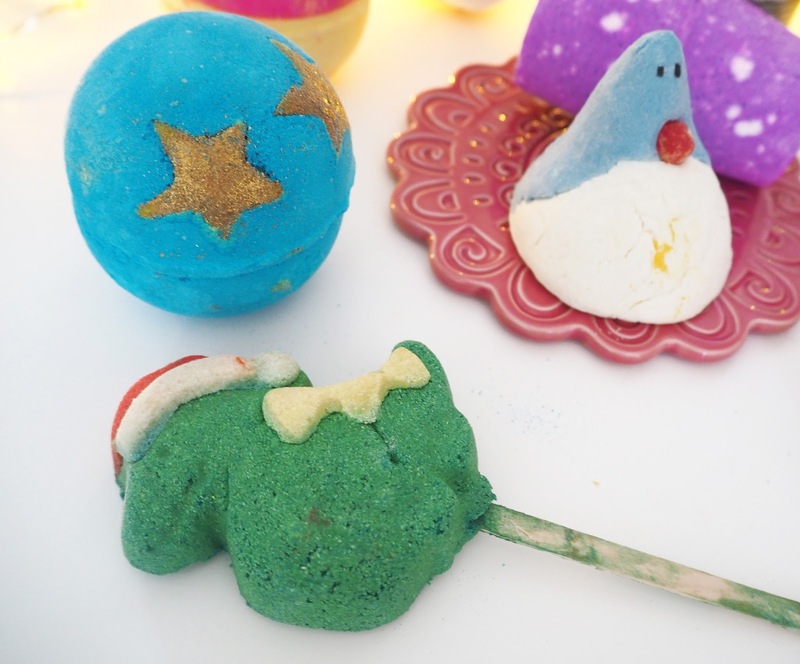 I got this Jester Bubble Bar for Christmas and just love how cute it is, complete with bell! I also received Never Mind the Ballistics & the Father Christmas Bath Bomb. 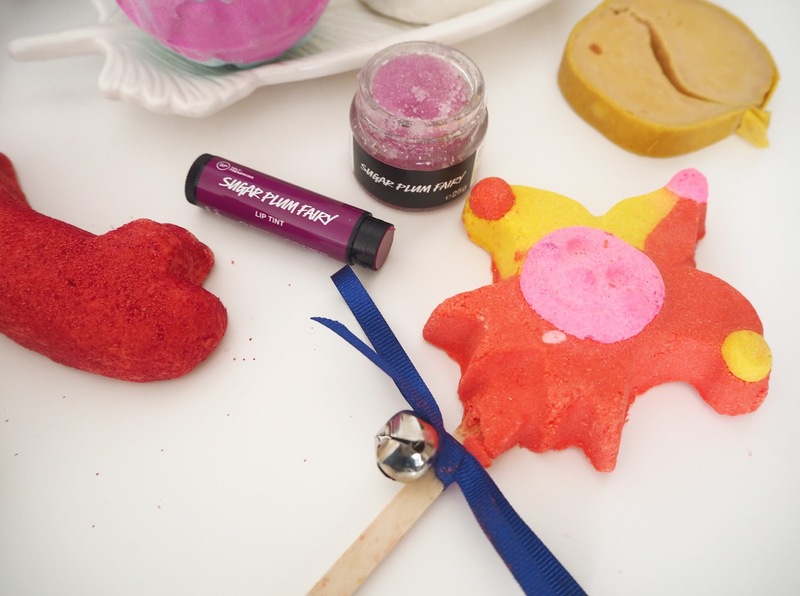 I love Lush's sugar Lip Scrubs as they're very effective but also incredibly moisturising and is the only Lush product that you can eat (although I wouldn't recommend eating too much!). 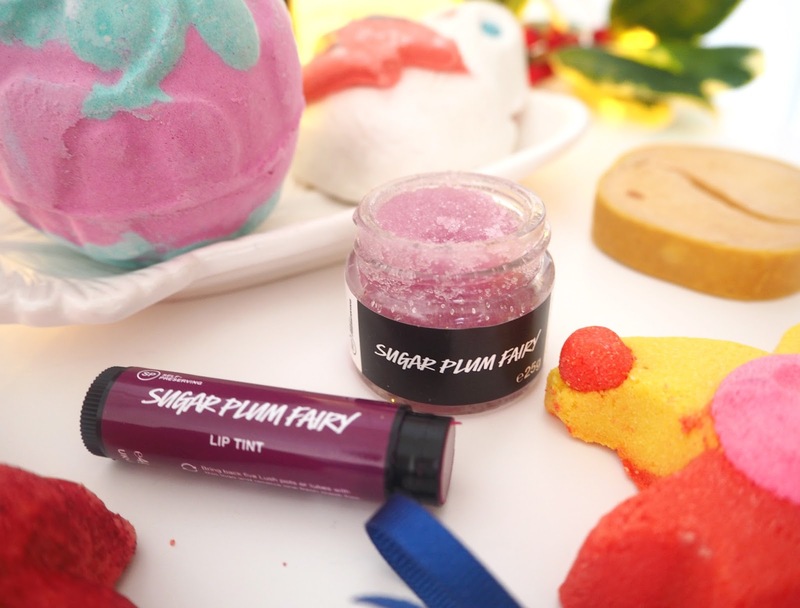 Sugar Plum Fairy smells just like the Comforter range, like blackcurrants, and there is a matching plum lip tint to go with it. Santa Baby is the red option and has a Cola scent. 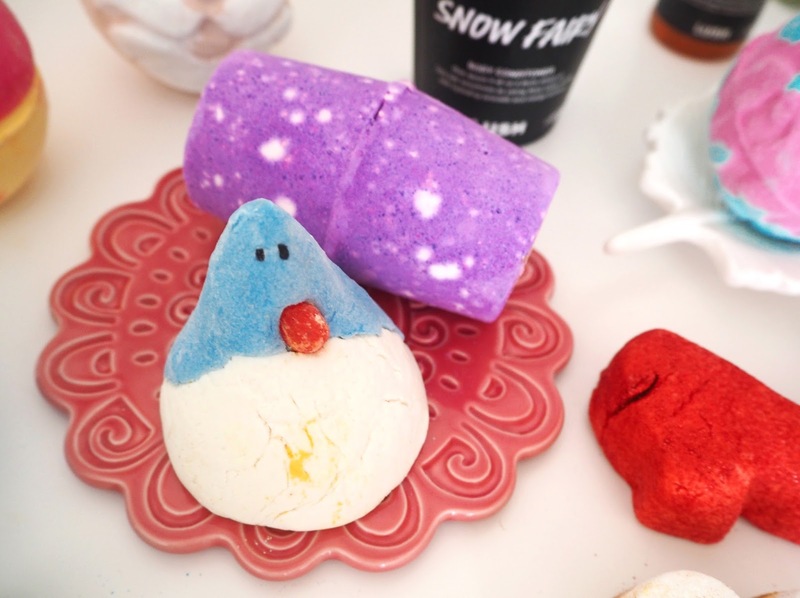 Santasaurus Bubble Bar - another adorable character! 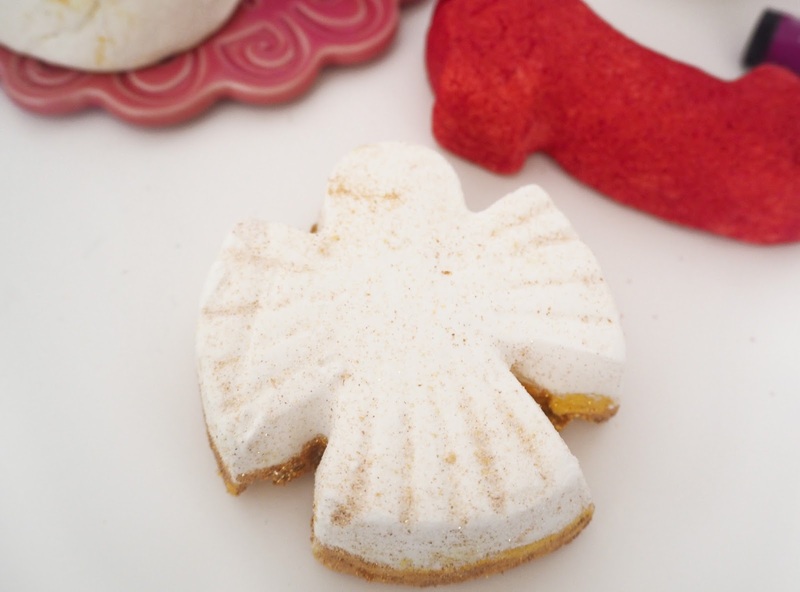 The new Penguin Bubble Bar is just the cutest little character. 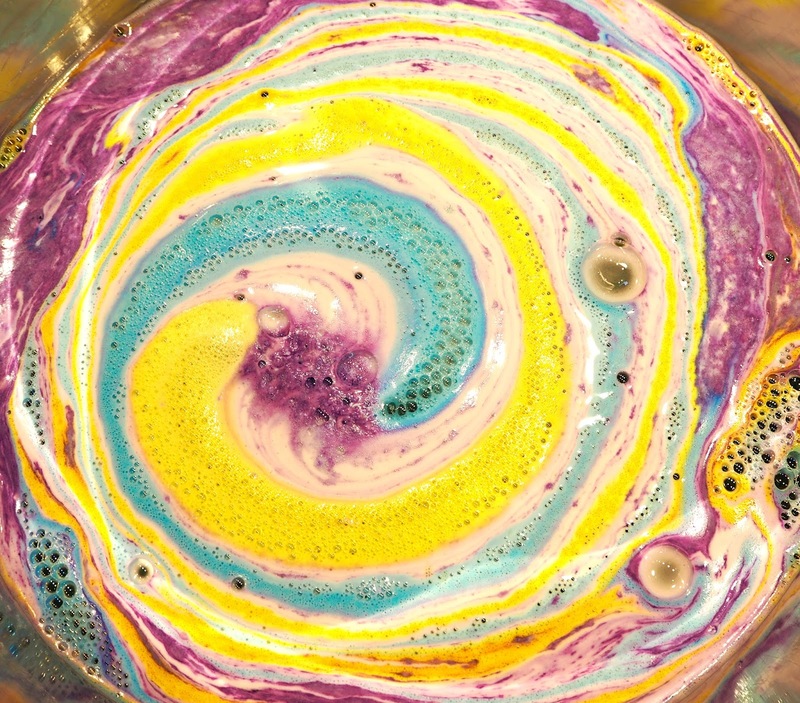 Northern Lights Bath Bomb wins the award for most spectacular bath art! 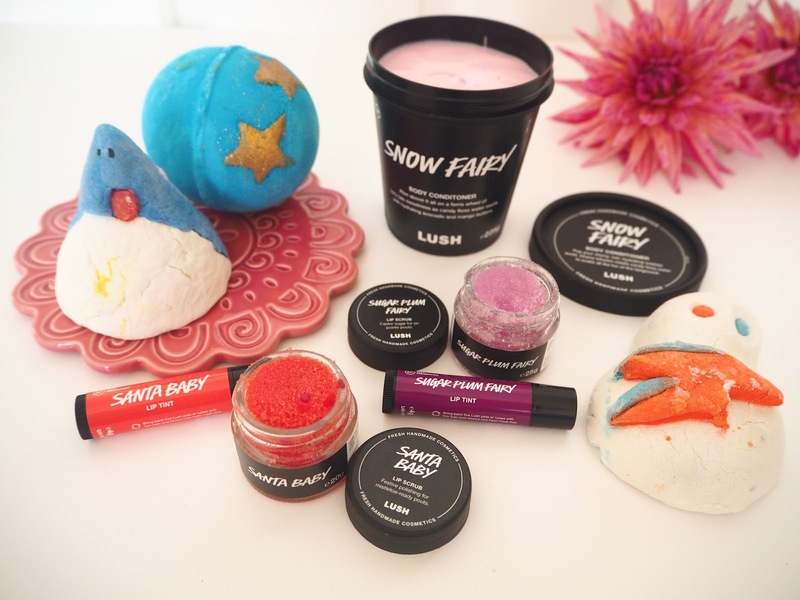 The Snow Fairy Body Conditioner was a brand new product launch this year and a dream come true for fans of the cult classic Snow Fairy scent! For me it's a heavenly mixture of cherry, candyfloss & bubblegum in a richly moisturising lotion. 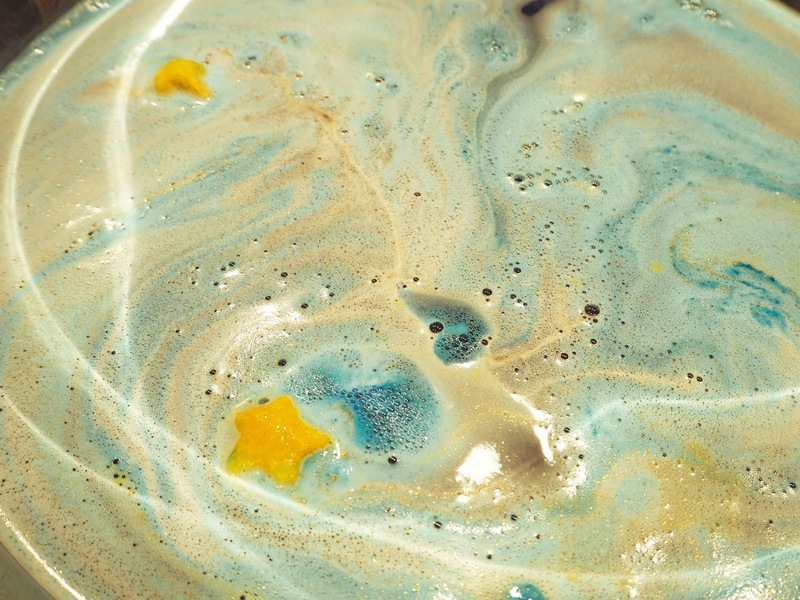 Shoot for the Stars Bath Bomb is bright blue with (extremely moisturising) gold glitter stars which just melt into your water! 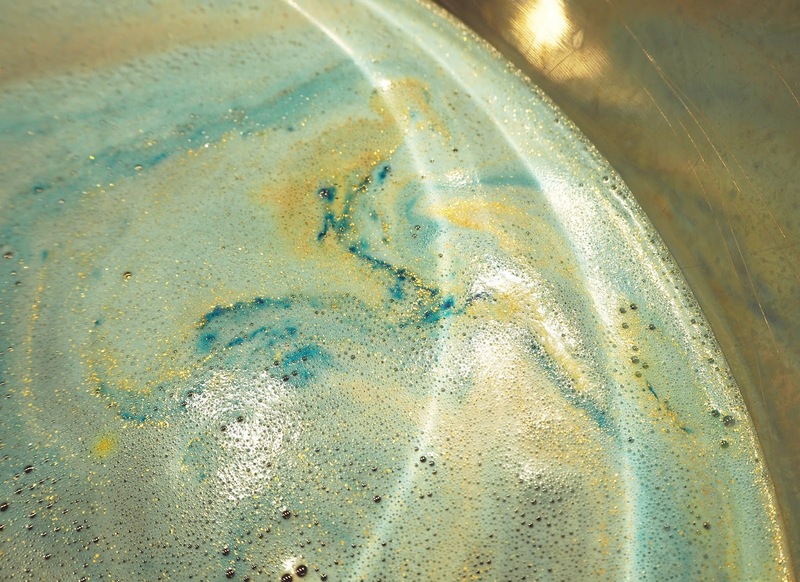 This was one of my absolute favourite new launches this Christmas I just love how silky the water goes and the bath water looks like nights sky. 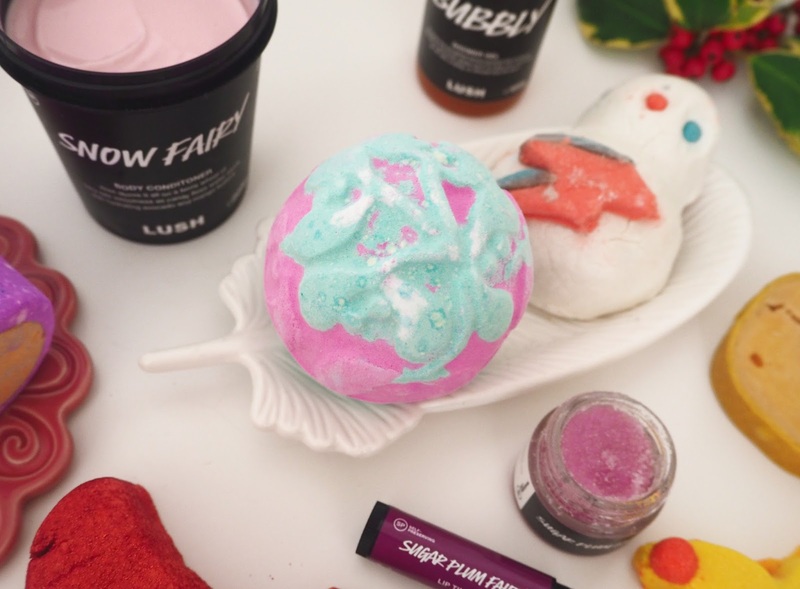 Here is the Stardust Bath Bomb, Northern Lights Bath Bomb, Bubbly Shower Gel, Snowman Shower Jelly, Igloo Soap and Ruby Slippers Bubblebar. 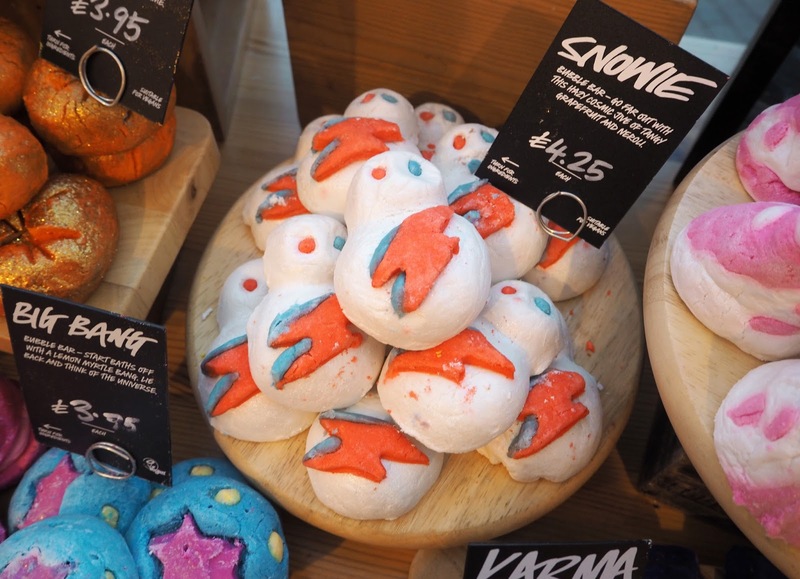 The adorable Snowie Bubble Bar is inspired by David Bowie as you can see from that awesome lightening bolt. **I have again bee experiencing massive problems accessing the Lush Website for their sale (along with almost everyone else I think!). The poor Lush staff, I think they have been really struggling! Like last year they've put everyone in a queue and apparently I am number 26,367 still since 9am today! So I think it unlikely I will get to buy anything today, hopefully there will be some decent left overs tomorrow though. 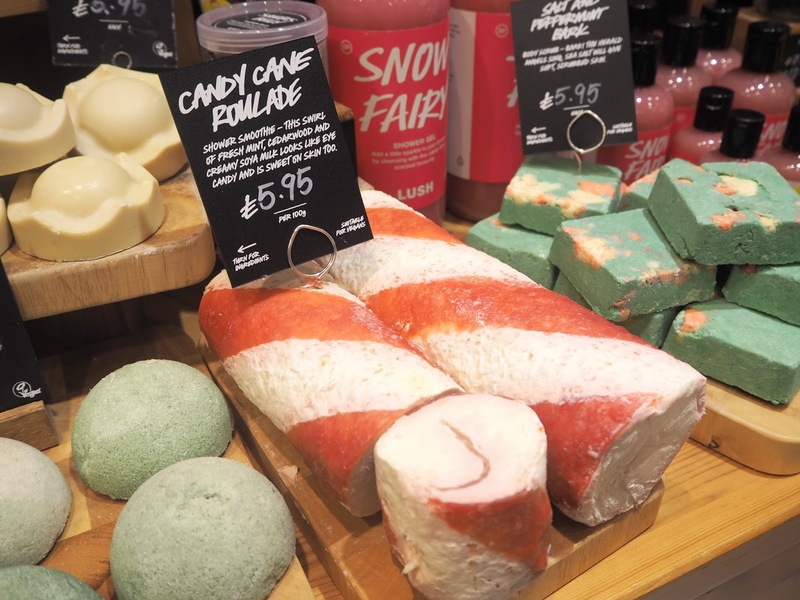 What is your favourite Lush Christmas product? Let me know if you got any for Christmas presents this year! !